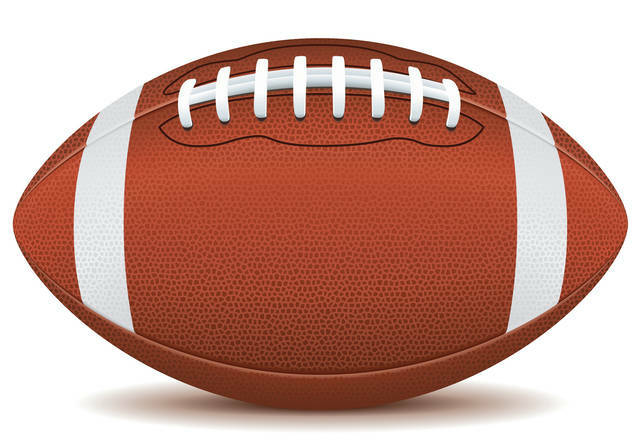 COLUMBUS, Ohio – The Ohio High School Athletic Association released the pairings for the regional finals (third round) of the football playoffs Sunday. The 2018 OHSAA football playoffs have reached the regional finals as 56 schools are still playing in week 13. The OHSAA has selected neutral sites for these 28 games and will do so again next week for the state semifinals. Rebracketing also occurs at the state semifinal level as the OHSAA determine how the regional champions will be paired. Of last year’s 14 state finalists, eight have reached this week’s regional finals. Of note, in Division III and IV, neither state finalist from a year ago is still in the playoffs. Eight of the regional championship games pit the No. 1 vs. No. 2 seeds (Regions 5, 9, 14, 17, 18, 20, 21 and 28 – see pairings on page 9). Division V is the only division where all four No. 1 seeds advanced to the regional final. Three-of-four No. 2 seeds also remain in contention in Div. V.
There are 13 undefeated teams still alive in the playoffs, but only two regional finals include undefeated teams squaring off against each other, and they both take place in Division II, including Region 5 (Akron Archbishop Hoban vs. Maple Hts.) and Region 7 (Massillon Washington vs. Wadsworth). Of the 10 teams that won their first playoff game in school history in week 11, three have advanced to the third round, including Byesville Meadowbrook (Div. V, Region 19), Attica Seneca East (Div. VI, Region 22) and Edgerton (Div. VII, Region 27). In Division V and VI, there are regional championship games that feature the No. 2 and No. 3 ranked teams in their division in the final Associated Press poll (see later note). In a Division VI regional final, the two schools with the most number of all-time playoff wins face each other, as Midwest Athletic Conference rivals Maria Stein Marion Local (74) meets Coldwater (73). Speaking of the MAC, the regional finalists show that this year will be the first year that a MAC school is not playing for the Division VII state title. The closest geographical proximity for teams playing in the regional finals is six miles between Powell Olentangy Liberty and Dublin Coffman in Div. I, Region 2 and Girard and Hubbard in Div. IV, Region 13. There are six regional final games that are regular season rematches. REGION 1: Regular season rematch. Mentor beat St. Edward 42-39 in week 1. REGION 3: Ohio Capital Conference rematch. Pickerington Central beat Hilliard Davidson 17-14 in OT in week 5. REGION 10: Sandusky Bay Conference rematch. Norwalk beat Sandusky 52-35 in week 7. REGION 13: Northeast 8 Athletic Conference rematch. Hubbard beat Girard 48-32 in week 2. REGION 17: Principals Athletic Conference rematch. Akron Manchester beat Orrville 67-31 in week 8. REGION 24: Midwest Athletic Conference rematch. Coldwater beat Marion Local 26-20 in 2OT in week 10.